Shaft: Aldila NV 65-S Graphite. Make: Callaway. Model: RAZR Fit Tour Authentic 9.5 Driver. Flex: Stiff. Condition: 7.5/10 Very Good ( There is a little scratching/scuffing on the crown. Notes: The head cover is not included. ). New ListingCALLAWAY BIG BERTHA 10.5* DRIVER - FUJIKURA SPEEDER 665 S FLEX SHAFT - 43"
SHAFT : PROJECT X LZ 56g GRAPHITE. CALLAWAY GOLF X SERIES 2018 DRIVER. The Callaway X Series 18 Driver features Variable Face Thickness (VFT), which allows the face to flex more, resulting in explosive ball speeds and massive distance. Graphite Shaft - Project X HZRDUS 55g Regular R Flex. 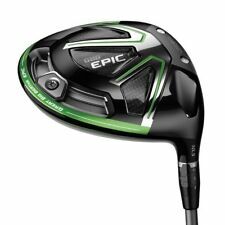 Callaway GBB Epic 9° Driver. All single pieces (drivers, fairway woods, hybrids, single irons, wedges, putters. ). Graphite Shaft -Aldila Tour Regular R Flex. Callaway X2 Hot 10.5° Driver. All single pieces (drivers, fairway woods, hybrids, single irons, wedges, putters. Headcover Not Included / Tool Not Included. ). Callaway Big Bertha Fusion 10.5° Driver. Graphite Shaft -Mamiya Recoil Senior Sr Flex. All single pieces (drivers, fairway woods, hybrids, single irons, wedges, putters. ). Used Callaway XR driver, 9 degree stiff shaft, including headcover. Trending at $444.99eBay determines this price through a machine learned model of the product's sale prices within the last 90 days. Condition is Used. Very good condition se e pictures. 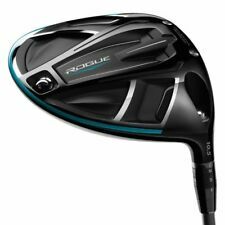 Callaway Rogue Sub-Zero 9.0° Driver. All single pieces (drivers, fairway woods, hybrids, single irons, wedges, putters. Graphite shaft - Project X Even Flow 65g 6.5 Extra Stifff lex. ). RIGHT HANDED/ PROJECT X HZRDUS 6.0 STIFF FLEX. CALLAWAY GBB EPIC SUB ZERO DRIVER 9 . VERY GOOD USED CONDITION 7.5 OUT OF 10. DETAILS/SPECS BRAND Callaway MODEL XR16​ 9* Driver (Head Only) HAND Right HEADCOVER INCLUDED Yes(Tool Included) CONDITION CLUB FACE & GROOVES 8.5/10 CLUB SOLE 8.5/10 CLUB TOP & BACK 8/10 OVERALL 8.5/10 Notes: Driver head has minor scratches on face and sole, top a couple small paint chips, includes original head cover and tool. Shaft - Kuro Kage 60 with TiNi. Flex - Stiff Flex. Grip - Golf Pride MCC Align Standard. Length - 45.50". Callaway GBB Epic Sub-Zero 10.5° Driver. Graphite shaft - Fujikura Pro 62 Stifff lex. All single pieces (drivers, fairway woods, hybrids, single irons, wedges, putters. ). Used RH Callaway GBB Epic 9° Driver -Aldila Rogue 75 X Flex Shaft. Condition is Used. Shipped with USPS Priority Mail. This is a Callaway Rogue Jail Break DRAW bias 10.5 Loft Driver with the UST Mamiya Recoil ES 450 F4 Graphite Shaft. It is 100% Callaway original, authentic! No shaft tool is included. We eat those costs as well. Callaway X Series Driver (2018). The Callaway X Series 18 Driver Features FLEX: Stiff Flex. LOFT: 10.5 . Project X graphite shaft: Stiff. TheCallaway X Series 18 Driver features Variable Face Thickness (VFT), which allows the face to flex more, resulting in explosive ball speeds and massive distance. Graphite Shaft - Aldila Synergy 60g Stiff S Flex. Callaway Rogue 9° Driver. All single pieces (drivers, fairway woods, hybrids, single irons, wedges, putters. Headcover Not Included / Tool Not Included. ). MODEL: Great Big Bertha. LOFT: 12 degree. FLEX: Ladies. TYPE: Driver. SHAFT MODEL: GBB Gems 50. MANUFACTURER'S PART NUMBER: Does not apply. LENGTH: Standard. Manufacturer: Callaway. Shaft Material: Graphite. I am not in this to make a quick buck. Wrench Tool: NA. Shaft Flex: Regular. I am human, and I make mistakes. I occasionally miss a stain or hole. With that being said, it is subjective. Graphite Shaft - Grafalloy Rocket Stiff S Flex. Callaway X Hot 9.5° Driver. All single pieces (drivers, fairway woods, hybrids, single irons, wedges, putters. ). Graphite Shaft - Aldila Synergy 50g Regular R Flex. Callaway Rogue 9° Driver. All single pieces (drivers, fairway woods, hybrids, single irons, wedges, putters. ). Callaway Rogue Driver 9 Degree RH Synergy 50 Stiff Shaft. Condition is Used. Shipped with USPS Priority Mail. Headcover and tool included. Winn DriTac grip Small paint chip as seen in pic. Normal light scratches on bottom from 2 months of use. Callaway XR16 10.5° Driver. Graphite Shaft -Fujikura Speeder 565 Regular R Flex. Callaway Grip. All single pieces (drivers, fairway woods, hybrids, single irons, wedges, putters. ). CALLAWAY BIG BERTHA 10.5* DRIVER - FUJIKURA SPEEDER 665 S FLEX SHAFT - 43"
Your body is perfectly lined up, and you swear you did not take your eyes off the ball, but there your ball goes slicing to the left again. Surely you could drive straight down the fairway if you had a Callaway driver, right? It is hard not to blame your game on your clubs. After all, you are at the driving range twice as often as your golfing buddy, yet his drive is an artistic masterpiece with his new Callaway RAZR Fit driver. This just confirms what you already know; you need a Callaway driver in your bag. If you are ready to take your game to the next level and finally hit par, then you will appreciate that you can find all the best Callaway products on eBay from reliable sellers. If you love the sound graphite makes when it kisses that sweet spot on the ball, then the Callaway Diablo Octane driver may be exactly what you are looking for. Its face angle makes precise shot-shaping effortless. The RAZR Hawk is also a popular pick, as its longer club configuration delivers greater distance and faster head speed without compromising forgiveness.